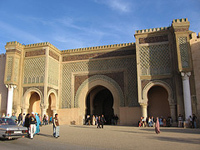 built by a Muslims' powerful ruler, Moulay Ismail. Islam in Morocco started here. Sacred town for Muslims. 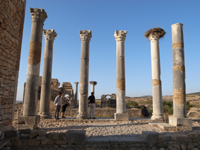 The most well preserved Roman ruins in Morocco. Big temple, Basiica, and mosaics on the floor are highlights of the site.